Why did this particular candy get made? Is it worth the trouble? Will enough people eat these things to make it worth making? 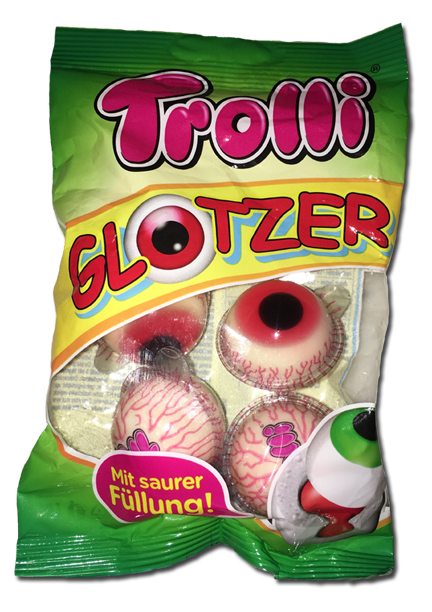 Such is what I ponder as I, ironically, stare at these Trolli Glotzer gummy eyeballs. We got these from Germany I assume (the language on the package is a surefire tell) and probably like 6 months ago. So caveat for this review – it’s entirely possible these taste better when they aren’t as old. First off, you get 4 in the package. Just 4. 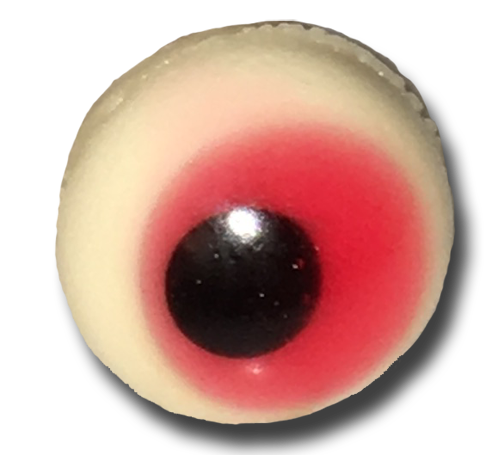 And they come in their own individual plastic mini container that hugs the eyeball gummy tight. When you take the plastic cover off, the eyeball stares at you like an insane dead cow. The gummy is reallllllly soft. It stays together, but it’s almost jelly like. These Glotzer eyes are pretty big too. Guess that’s why they only give you four. And their size is just a bit too big to put the whole thing in your mouth. So you have to bite it, and when you do, there’s a really sour liquid in the middle. These get one strong star for the sour juice – it is truly sour. Yet the viscous-jello-water-like substance isn’t appetizing. I think the flavor is marshmallow vanilla with strawberry sour center. Not sure. And I’m not sure I care. These are just plain weird and unappetizing. 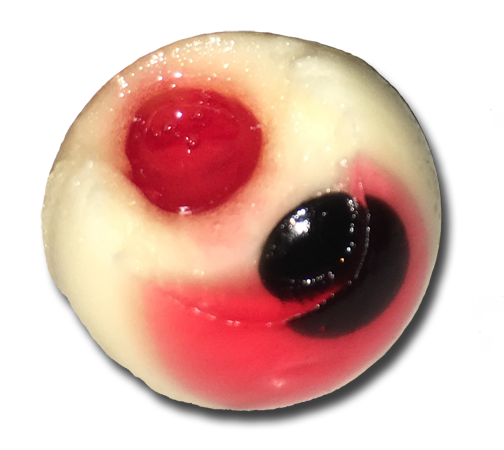 I get that these aren’t for the adult in me, but even if I was a kid… I don’t think the bouncy soft eyeball with its blood center would be fun to eat. Save your Euros. Leave these on the rack.